A quiet revolution is underway in the Philippines. In 2016, several delivery technology companies launched in Mega Manila. Operating primarily through mobile apps, these companies are offering a marketplace driven, on-demand, and affordable pickup and delivery service aimed at corporates, food & beverage, retailers, and even individuals throughout Mega Manila. The largest in the market is Transportify with over 1,000 vehicles in its marketplace covering Mega Manila and select areas to the North and East of including Meycauayan, Cainta, Antipolo, Taytay and San Mateo. Currently offering Eco Cars, L300s and closed vans for delivery, Transportify boasts an on-demand feature where you can make a booking and be matched with a driver in real time who promises to arrive within a maximum of 75 minutes. It’s not as fast as Uber but these are trucks and commercial vehicles, after all. Or as Transportify encourages, use the schedule option to book up to two weeks in advance. The service itself is nearly full service including a driver, loading at the pickup and unloading at the dropoff. Their app has some Extra Services that allow you to customize your booking so that you only pay for what you need and nothing more. In addition to the usual list of players, Transportify can also be used effectively by 3PL, forwarding company, express company, and relocation company players. It even offers a viable alternative to Uhaul and other DIY hauling and transportation options. The prices are affordable with their Eco Car starting at Php 250 for the first 3Km and Php 20 per Km thereafter. And L300 starting at Php 600 for the first 3Km and Php 30 per Km thereafter. For example, a 10 km delivery on an Eco Car would cost about Php 390 plus any extra services that you may optionally add to the booking. 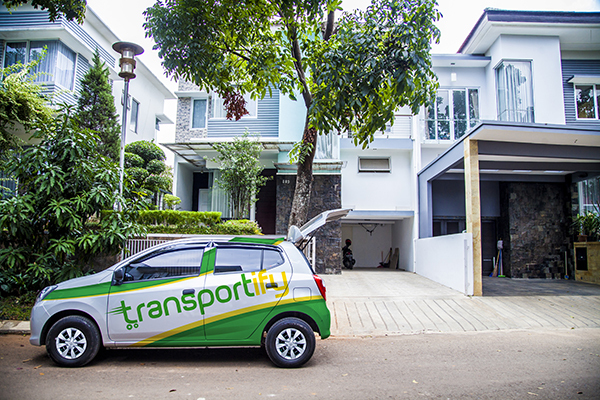 So whether you are a corporate, F&B, retailer, and even an individual, who needs affordable same day deliveries to your customers in Mega Manila, give Transportify a try and see for yourself if it truly is a revolution. And if you’re a 3PL, forwarding company, express company, or relocation company, or even Uhaul, try Transportify as your sub-provider or contractor for days when your normal fleet are stretched. Learn more about Transportify browsing our site or contact us through our live chat function. Experts predict that 2017 will be a good year for 3pl providers, thanks to substantial growth in the market and active competition from established service providers. Appliance delivery and furniture delivery in the Philippines are expected to be a lot more profitable than they are in recent years.